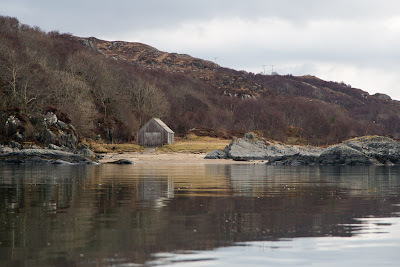 Better days in Kentra Bay. 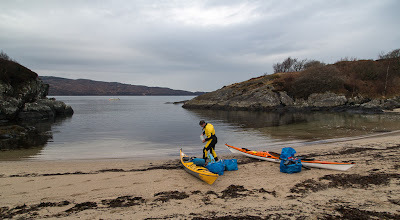 After a good breakfast at Glenuig Inn, Ian and I launched in the small sandy cove of Ardtoe. It is situated at the root of the great peninsula of Ardnamurchan. 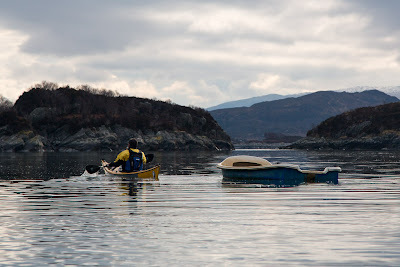 It was just after high water, so we decided to start our day by exploring the tidal inlet of Kentra Bay. ...the snow covered Cuillin of Skye. 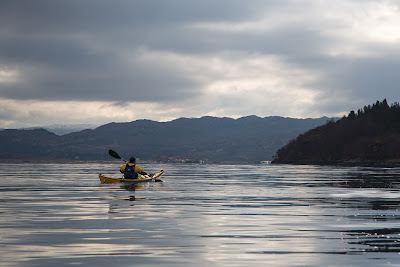 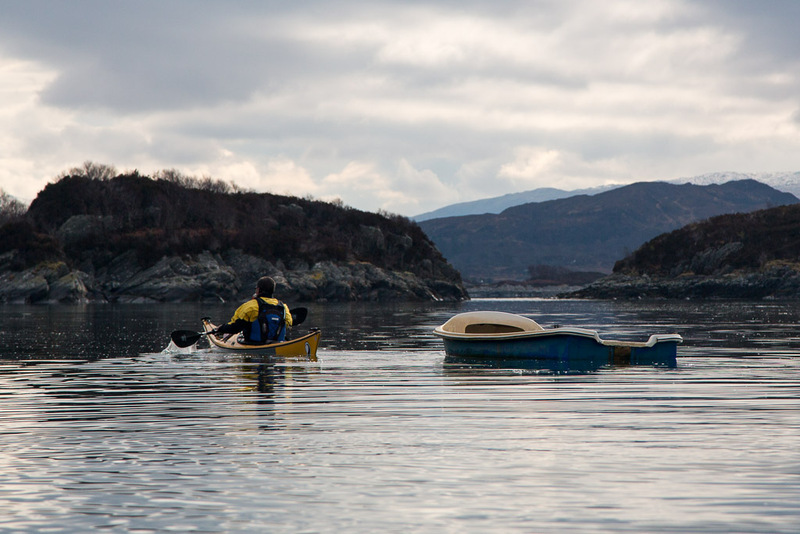 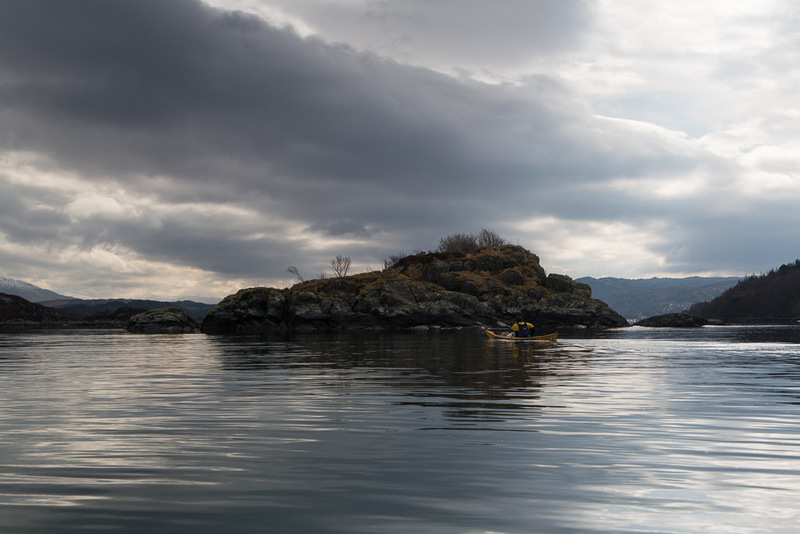 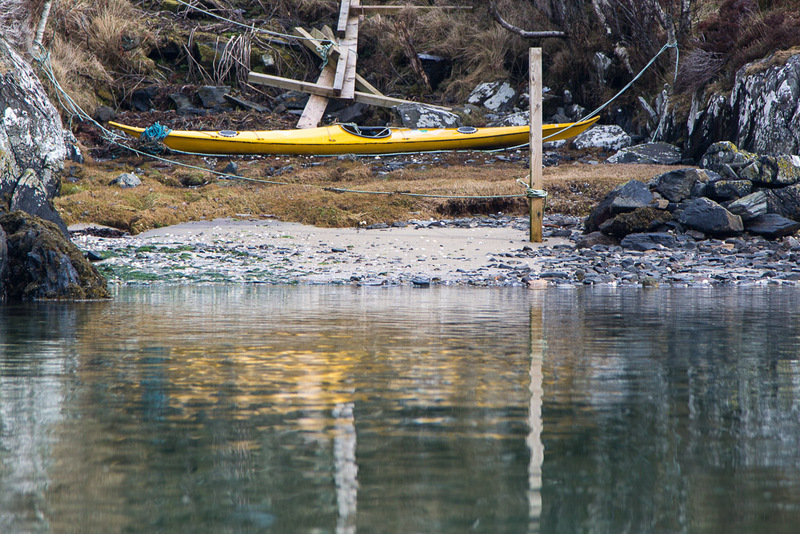 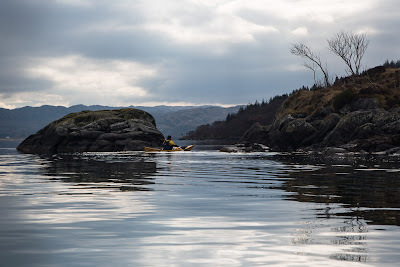 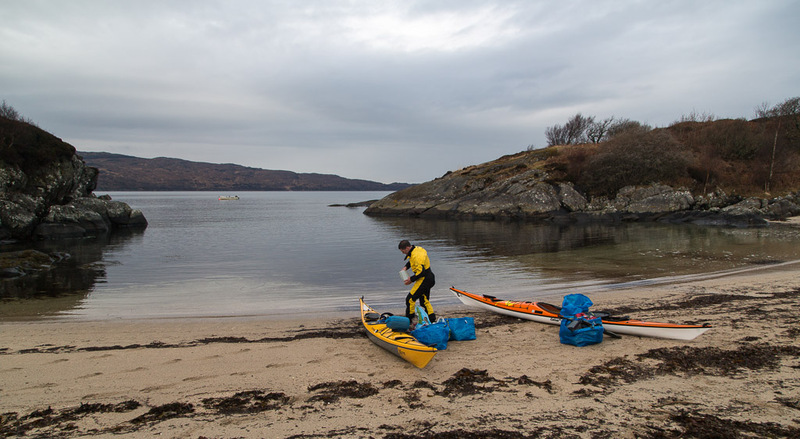 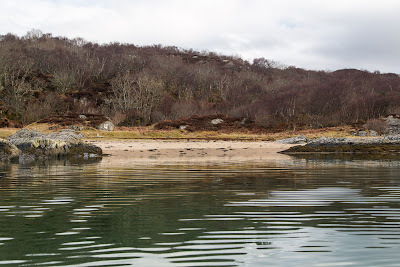 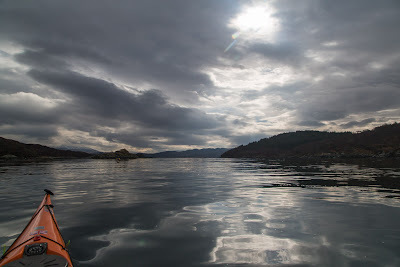 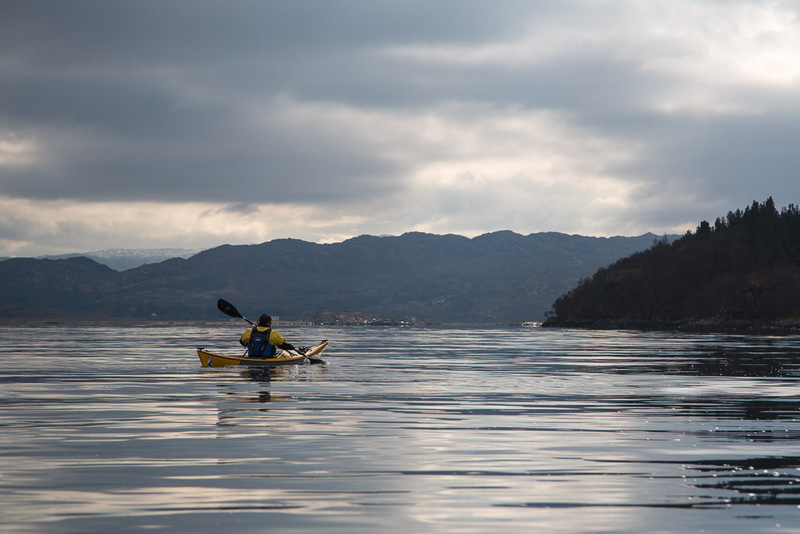 We paddled into Kentra Bay under a leaden sky and upon a glassy sea. 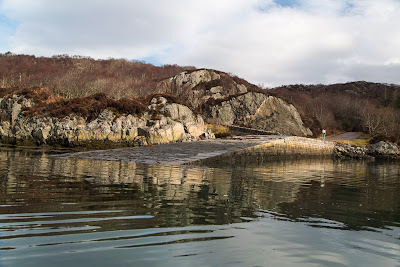 ....the gaps between the rocky islets. 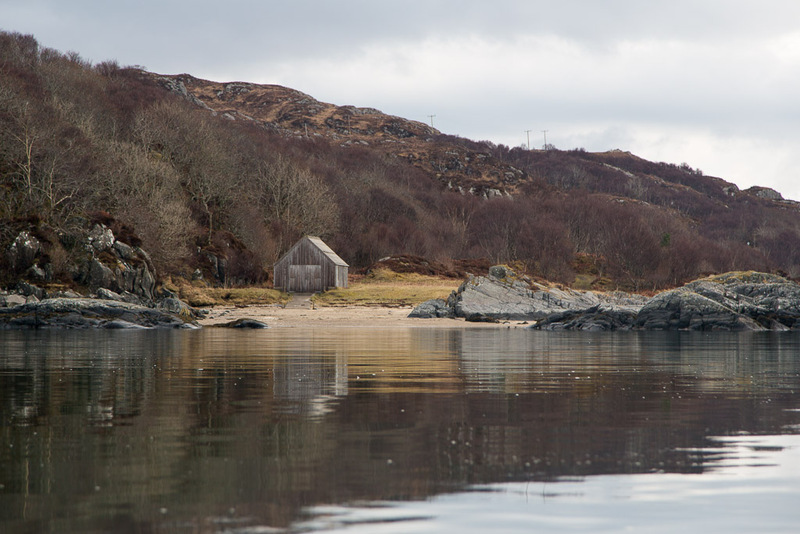 ...the old Ardtoe pier is made of sterner stuff, its great stones have weathered many storms. 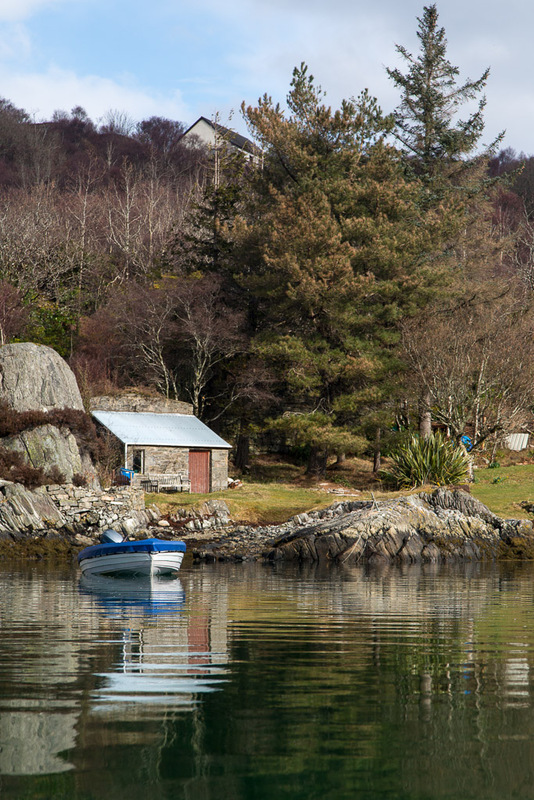 Nearby houses perched on the cliffs, while their boat houses clung to rocks by the shore.